This is how to see the spam (junk email) that we have blocked from your inbox. 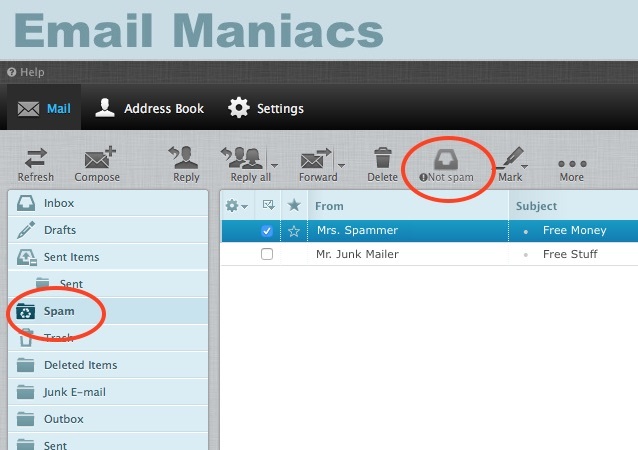 Log in to the WebMail Interface using your email address and password. If you find an email that should not have been marked as spam, then you can move it to the Inbox. To move it to the inbox, check it, and then click on "Not Spam" above. Note: IMAP users also have a spam folder in their mail client.